Q: I was told I have early cataracts. What are cataracts? A: A cataract is when the lens inside the eye becomes cloudy. It’s a normal maturing change that happens to everyone eventually. If everyone lived to 120 years old, everyone would develop a cataract. The lens of the eye is located behind the colored part of the eye, the iris. The lens is kind of built like an onion, it has layers built upon itself. A typical maturing type of cataract is when the central part of the onion clouds over. This is usually a slow, gradual process that can take a decade or more to develop. Another type of maturing cataract can affect the outer layers of the onion. This type is typically in the form of spokes that start from the edge of the lens and work their way towards the center with time. Also a slow, gradual type of cataract. A third type affects the back surface of the lens. It’s more of a frosting than a cloudiness. It usually starts in the center of the lens then eventually spreads over the back surface. This type typically happens to younger people and quite often has a cause, e.g., inflammation or steroid medicine use. This type tends to be faster growing, meaning 2-5 years instead of a decade. Q: I was told I have to wait until my cataracts are “ripe” before I can do anything about them. What does that mean? A: There are several meanings to “ripe”. When you are having trouble seeing, your vision is interfering with your life, and changing your glasses won't help, then it’s time for surgery. There are some caveats to that however. For one, your health insurance company may have a say when it’s time for surgery, since they will pay for it when they consider the cataracts “ripe”. Another is if one eye has the surgery and the other isn’t ready yet but the eyes are very different afterwards, they may just go ahead and do the other eye. A cataracts is kind of like a dirt windshield, it blocks the vision but it doesn’t hurt the eye. So there’s never a rush to do cataract surgery. Ultimately the ball is in your court when it’s time for surgery. Q: What is cataract surgery and what are my options? A: Cataract surgery involves the surgeon removing the cloudy lens from your eye and replacing it with a plastic lens. The nice thing about the replacement lens is the surgeon can adjust the power so you won’t have to use glasses as much or perhaps at all after the surgery. The procedure itself takes about 20 minutes to do. You’re off your feet for about a day. You have to use eyedrops in the eye to guard against infection and inflammation for about one month after. The first option is whether to have “laser-assisted” cataract surgery. Until a few years ago, the entire procedure was done by knife. Lasers are now used to perform some of the surgery but not completely because the surgeon still has to replace the lens. Laser assisted surgery does have an out-of-pocket cost. 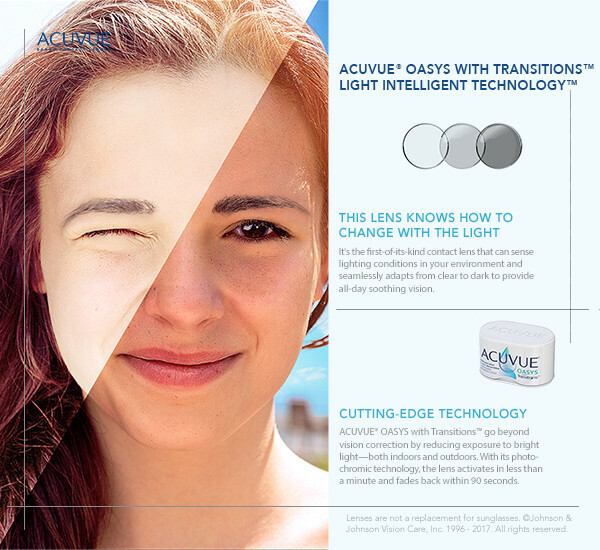 Another option is the type of plastic lens, or implant, or intraocular lens (IOL) that is inserted into your eye. Historically the IOL was a single vision implant, meaning the surgeon could correct either far or close but not both. Your health insurance covers this option. Over the past ten years, multifocal and toric IOLs have become a popular option. With multifocal IOLs, assuming all goes well, you won’t need glasses at all afterwards. With toric IOLs to correct significant astigmatism, you won’t need glasses nearly as much as before the surgery. There is an additional out-of-pocket cost for these options. Cataract surgery has been performed since ancient Egypt. The current procedure has been available for fifty years. The risk of complications is very small and the recovery is a piece of cake compared to neck, back or knee surgery. But surgery is surgery so just be aware there are, or should not be, any promises when it comes to outcomes after cataract surgery. Q: Does cataracts grow back? A: No, once the cataract is removed, it’s gone. But sometimes something called an after-cataract forms. When the surgeon does cataract surgery, the cloudy lens is sitting inside a bag in your eye. The surgeon cuts open the bag, removes the cloudy lens, and inserts the plastic lens into the bag. Sometimes the bag itself can cloud over. This can be fixed with a painless laser procedure that punches holes in the bag and immediately clears up the vision. This procedure would be covered by your health insurance. Q: How is LASIK or laser surgery different from cataract surgery? A: There are several ways. First of all, LASIK corrects your vision by changing the shape of the front of your eye the cornea. Cataract surgery changes your vision by replacing the natural lens inside your eye. Therefore cataract surgery is a more invasive procedure, although it has been around a lot longer than LASIK (> 50 years vs. > 20 years). The main purpose of LASIK is to decrease your dependency on glasses for distance, while, depending on the circumstances, cataract surgery can eliminate the need for glasses. Lastly, LASIK is a cosmetic procedure, not covered by insurance, while cataract is at least partially covered by your health insurance.